This bouquet is hand-delivered in our 10″ signature gift bag. The arrangement is topped with tissue paper and your gift note is tucked to the side of the arrangement. A lavender bow completes the wrapping. When you're looking for a sweet, simple way to show that special someone how much you love them or surprise them on a day they need a pick-me-up, nothing is more thoughtful than a stylish arrangement of flowers. Whether you're sending a quick congratulations, a reminder of later plans, a thank-you gift or a little something to say "I miss you," you want perky, pretty flowers in a chic, modern arrangement. 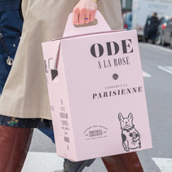 Specializing in unique, handcrafted flower arrangements of the freshest blooms and most original designs, Ode à la Rose is the best source for that perfect floral pick-me-up. Our Pick Me Up Pink Rose bouquet offers just the right amount of affection. 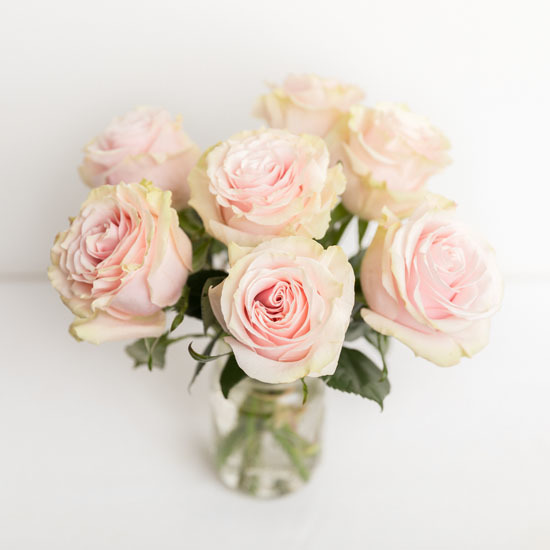 A small bouquet of seven pink roses in a mason jar is a lovely surprise to receive at home or work. We like this arrangement for a ‘looking forward to seeing you tonight!’ kind of delivery. Feel Pretty in Pink Surprise that special someone in your life with beautiful, soft pink rose blooms. Our Pick Me Up pink roses come from eco-friendly farms in Ecuador, so they're always fresh and beautiful. Your sweetheart, friend or loved one will enjoy the soft beauty and sweet fragrance of these pretty flowers. 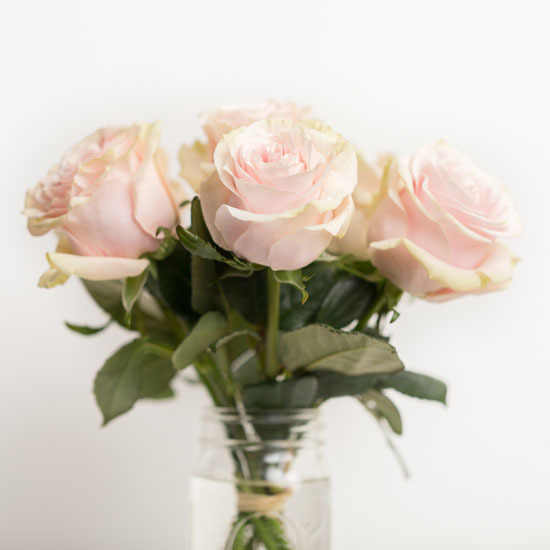 Deliver a Charming Keepsake Delivered to your recipient's office or doorstep in a chic gift box, our Pick Me Up pink roses also come in an adorable, stylish mason jar your recipient can keep for home decor or use on their desk to remind them of your special delivery. Choose Ode à la Rose With high-end, in-house, unique bouquets handcrafted by skilled floral designers and composed of the freshest blooms sourced from top farms around the world, Ode à la Rose is passionate about bringing style and sophistication to every flower delivery. Order our Pick Me Up pink roses to make someone's day.